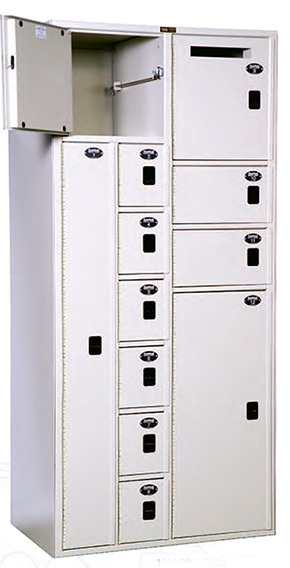 Tiffan Metal Products has been manufacturing Sentinel Security Lockers for over 30 years. They are used throughout the world wherever controlled security is required. You will find our lockers in areas of police evidence transfer, evidence storage, crime scene investigations, forensic evidence, or in postal service. When teamed with our Refrigerated Lockers, you have a complete system. To purchase, please call our sales team at 1-800-326-4403 or 1-801-328-8788.